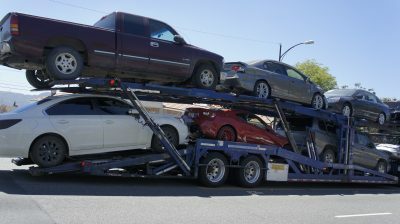 Open Car Transport is the most common type of auto shipping at Phoenix Car Transport. So, let’s get clear what is Open Car Transport? It means that auto transport includes an open trailer and that your vehicle will be outdoors. And that’s it! Your vehicle is safely attached and is being transported in a convenient way. It is convenient and AFFORDABLE! Yes, yes. Open Car Transport is an affordable method as well. If you want to save money, it is a great way to relocate your vehicle. 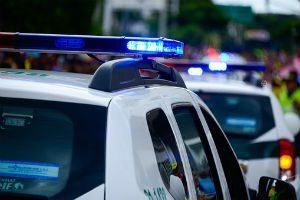 This type can be used when relocating to another place with your family and friends. Trusting us your vehicle means to rest assured knowing that we will ship your vehicle with ease. For an experienced company like Phoenix Car Transport, it is never a hassle to do! There are plenty of transport vehicle types which can do open Car Transport or Auto Hauling, starting from single trailers and ending with trucks capable of towing 10 or more vehicle. Open Car Transport is great when moving single or multiple cars, dealer cars, corporate cars etc. Also, any kind of vehicle is available to transport on an open trailer. Cars, motorcycles, vans, boats, even trucks. Feel free to offer us any kind of vehicle, we will ship it easily! Of course! If the requirements are high, there will be many companies offering this kind of transportation. Well, it is obvious that the quality will decrease when the quantity increases. BUT, at Phoenix Car Transport, the quality of car shipping services is a top priority for us. Our company never lost its dedication to premium-quality services. We guarantee affordable services with a high-quality performance. What Makes Open Car Transport the Most Common Method of Car Shipping? It is the most affordable type. There is a small risk of damaging your car on the way. The car is often held in a place with chains. The trailer contains multiple vehicles at the same time. Get a free quote online by using our get a free quote service. Also, our live agents are always available for you to call us at (623) 500-6143. Feel free to get in touch with us with any kind of question or request. Phoenix Car Transport is your reliable friend in car shipping!